Whether your taxi journey is short or long, day or night, JP Private Hire of Leyburn offer an array of services to hopefully ensure they can cater for your needs. Based in Leyburn, JP Private Hire covers the local areas such as Swaledale and Wensleydale, the Yorkshire Dales National Park, North East and North Yorkshire regions. Beyond these areas we happily go wherever your journey takes you. To give you a flavour of what JP Private Hire and Taxi firm of Leyburn can offer here is a quick list (albeit not exhaustive) with further details below. If you have a taxi, private hire or chauffeur requirement that is not listed here please dont hesitate to get in touch as they aim to fulfil your private hire and chauffeur enquiries. Whether your chauffeur or taxi journey is for business or pleasure allow us to transport you stress free and in comfort to your plane, train, ship or bus. We are able to provide a punctual and efficient taxi service to ensure you get to and from your destination in time. If arriving by plane we will wait up to 60 minutes to allow for baggage handling. If there is a delay we will keep in touch with the airport updates. Additional charges may occur if a wait extends beyond 2 hours. For an exact quote on any destination please dont hesitate to contact JP Private Hire of Leyburn. Are you travelling to the dales for a walking or cycling holiday? Why not let us take care of your luggage transfers? JP Private Hire and Taxi service is able to provide a service to fit with your walking/cycling experience. We can transport your luggage from one point to another and ensure it is checked in at the hotel in preparation for your arrival. Alternatively, we can chauffeur you to your hotel/accommodation for the evening. We are able to take you to local, regional and national sporting events. You can enjoy your taxi ride in style and not have to worry over traffic or navigation but relax and switch off for the day. 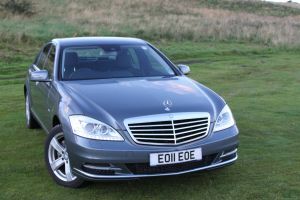 JP of Leyburn Horse Racing Chauffeur provides you with executive travel to any racecourse across the UK. We can transport you to venues such as The Grand National at Aintree, Royal Ascot, The Derby at Epsom, The Gold Cup at Cheltenham and days out at York, Chester and Haydock Races and we will do our best to make your trip to the races a special occasion. Give JP Private Hire of Leyburn a call and find out how affordable a chauffeur driven luxury car could be. JP of Leyburn Golf Chauffeur provides you with executive chauffeur travel to all your favourite golf courses and golf events across the UK. You can use JP of Leyburn Golf Chauffeur to travel to courses such as St Andrews, Royal Birkdale, The Belfry, Turnberry, Sunningdale, Wentworth and Carnoustie. Travel in style to events such as the Open Championship, the World Match Play Tournament, the Ryder Cup and the European PGA Tour. Give JP Private Hire of Leyburn a call for the cost of a chauffeur driven day to your favourite golfing venue. JP of Leyburn Cricket Chauffeur offers luxury chauffeur driven travel to any cricket match in the UK. With your JP of Leyburn Chauffeur you can travel to cricket matches in luxury and comfort. You can use our executive chauffeur service for trips to Lords, Headingley, The Oval, Edgbaston and Old Trafford. Give us a call and find out how affordable a chauffeur driven luxury car could be. 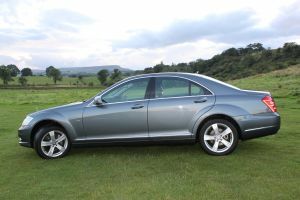 JP of Leyburn Rugby Chauffeur offers luxury chauffeur driven travel to any Rugby match in the UK. Follow your Rugby team at home or away and travel to matches in luxury and comfort. You can use our executive chauffeur service for trips to Kingston Park, The Millenium Stadium, Twickenham and Murrayfield. Contact JP Private Hire of Leyburn to find out more about our chauffeur driven transport to any rugby game. Important meeting? Business Flight? VIP visitor? Important Delivery? Whatever the task why not allow JP of Leyburn Taxi Service help you with your businesses transport needs. We offer a monthly billing service with 21 days payment terms. Uniformed Chauffeur Meet and Greet service for your VIP clients. Client confidentiality and a reliable executive chauffeur service for all your business needs. Our Chauffeur service is designed to meet the demands of the most professional business traveller and we are always ready to adapt to changes to itinerary. 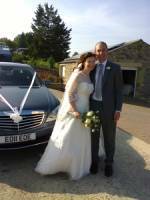 Allow JP of Leyburn to get you to the church on time (or late if you prefer!). 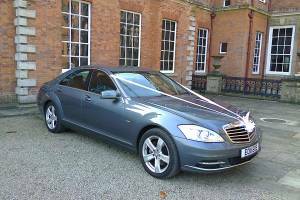 Our immaculately presented flint grey metallic Mercedes S-Class 350 with full black leather and walnut trim interior is a beautiful car for your special day. Combined with our smartly dressed wedding chauffeur we present you the perfect wedding car hire for your wedding day. Please contact for further information. Price takes into account the distance travelled and the length of time required. 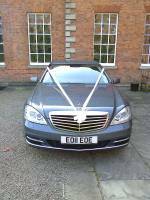 Whether you just want taking to the ceremony in style or you wish to be chauffeur driven in luxury wherever required during your special day we can accommodate.